Who Is The Shortest Man In The World? 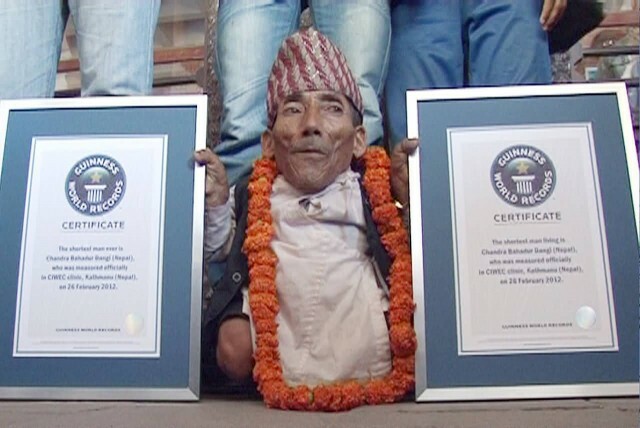 Chandra Bahadur Dangi born 30 November 1939 and he is the shortest man in the world as per the Guinness World Record book with the height of 0.546 m. He broke the record of Gul Mohammed (1957–1997) the shortest adult human whose height was 0.57 m. Chandra came to news highlights of local media when a wood contractor saw him in his village. All of his family members are of usual size. Dangi lives with his nephews in a remote village of Nepal which is some 400 km away from the country’s capital. He wishes to travel all parts of his country and the world. 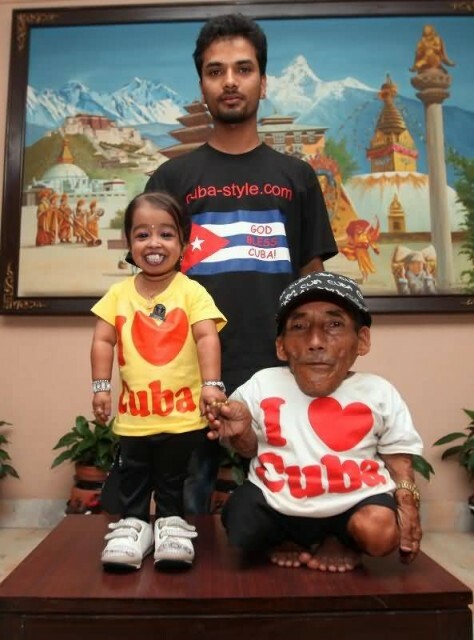 In 2012, at age 73 he met the world’s shortest woman, Jyoti Amge of Nagpur, India. The pair posed together for the 57th edition of the Guinness World Records 2013. 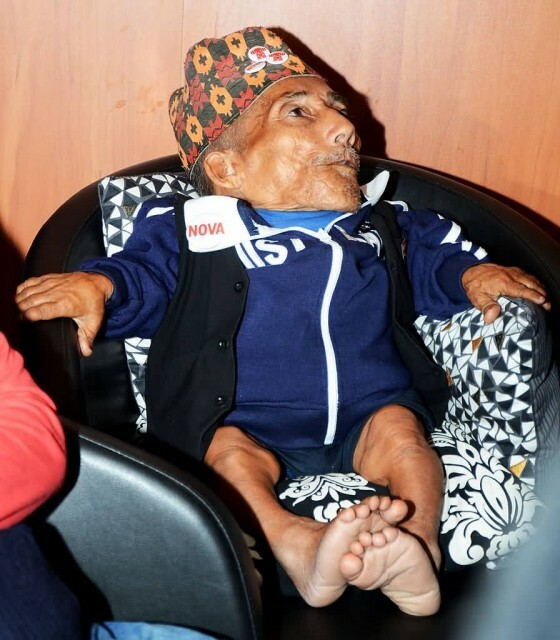 It is currently unknown what medical condition has restricted Dangi’s height. On 13 November 2014, as part of Guinness World Records Day Dangi met for the first time, the world’s tallest living man, Sultan Kosen at an event in London. Previous story Who Is The Tallest Man In The World?